This website was created to honor Wing Chun SiFu Duncan Leung. We are indebted to SiFu Leung for his time and energy learning, promoting, and passing on the art of Wing Chun Kung Fu and Gongli, the art of exerting power. SiFu Leung has commissioned Ken Ing, M.D. to publish a book sharing SiFu Leung’s Kung Fu escapades. 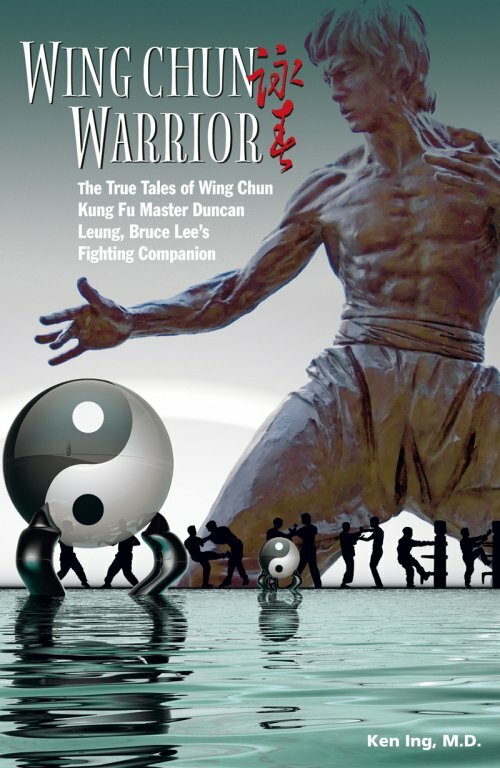 The book is geared toward those with some knowledge of Wing Chun, and helps elucidate some of the more subtle physical, mental, and spiritual lessons of the art. “The story of Duncan Leung — childhood friend of Bruce Lee and disciple of Wing Chun master Yip Man —is valuable not only for the insights it offers into Chinese martial arts but also for its portrayal of the lost Hong Kong of the 1950s and 1960s. Reading Ken Ing’s Wing Chun Warrior, which chronicles Leung’s Kung Fu escapades, will be a jarring revelation to anyone familiar with the manic but orderly and largely peaceful city of seven million people that is Hong Kong today. The city described by Ing is a place where Kung Fu practitioners wielded eight-chop knives in the streets and literally battled their way from one martial arts studio to another to prove their fighting prowess. … As Ing tells the story, [Bruce] Lee may have been Yip Man’s most famous pupil, but Leung underwent more intensive training with the great man — four years of daily private lessons that started in 1955, when Leung was 13. During this time, Leung virtually forgot about regular schooling and devoted himself to learning Wing Chun from the master, training six hours a day, seven days a week. How did a mere boy command the daily individual attention of the world’s greatest Wing Chun sifu? It was all thanks to his gullible mother, who agreed to give her son HK$300 (US$39) a month for “private tuition” with no questions asked. That was a lot of money in the 1950s, but Leung came from a well-to-do family that tended to indulge him. So while regular students paid Yip Man HK$8 a month, Leung gave his teacher nearly twice the salary of high school graduates employed by the Hong Kong government at the time. According to Leung, Yip was keen to take the money to support his opium addiction.